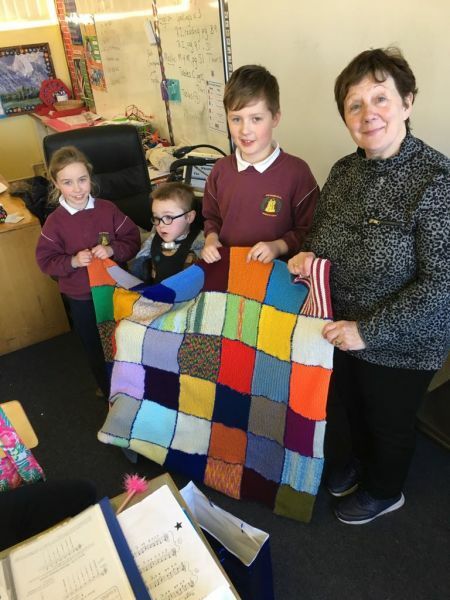 Children in third and fourth class have been very busy over the last few months, knitting squares for a blanket which was recently presented to Billy Goulding. 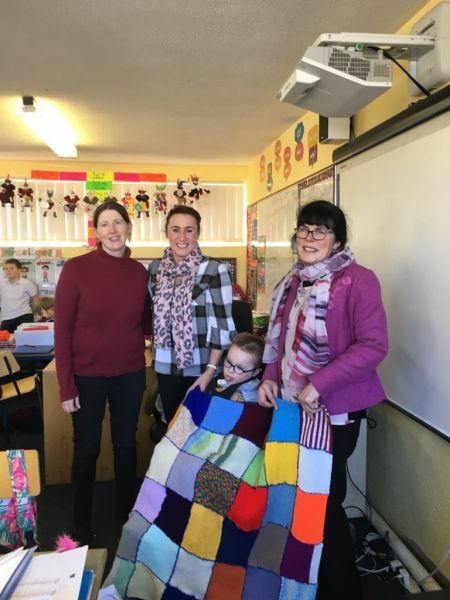 Mrs.Slattery, Mrs.Kiely and Marian’s help and guidance during knitting lessons resulted in a beautiful ,colourful blanket being created. 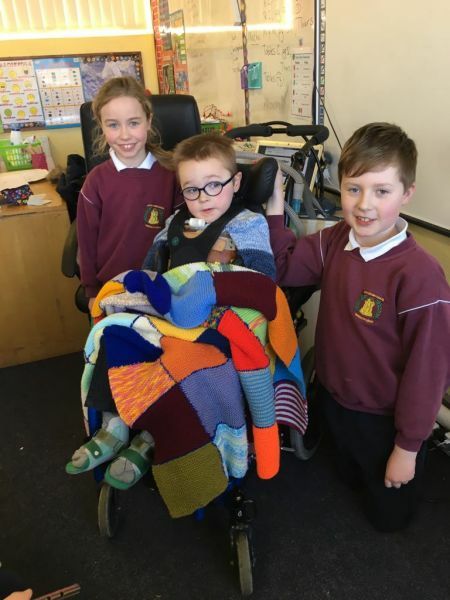 The children were overjoyed when Billy visited the school to be presented with the blanket. 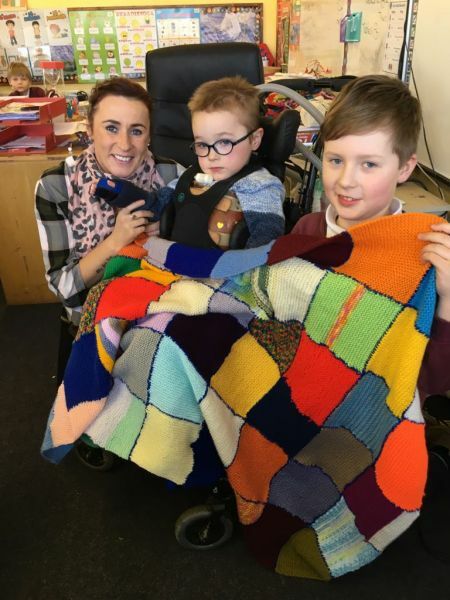 We wish Billy all the very best for the future.